Hi lovely viewers and welcome to this post. On this thread am going to show you a very simple code which can be use to trickMTN Network to deduct the same amount they charge for MTN-to- MTN similar to other network when calling. Here is How to Get it Done Whenever you wish to call Other Networks with your MTN Line, just add #555 at the end of the number you wish to call. E.g. Let say you wish to call an Airtel Number 08080501615. What you have to do is to add #555 after that Number. That is to say it will look like: 08080501615#555 Then click send and you are good to enjoy same rate they charge for MTN- to-MTN No more calling other networks with high or special rate, just test that simple code above and you will be surprised that it will tricked MTN Network Provider to deduct the same amount they charge for MTN-to-MTN similar to other network you called. 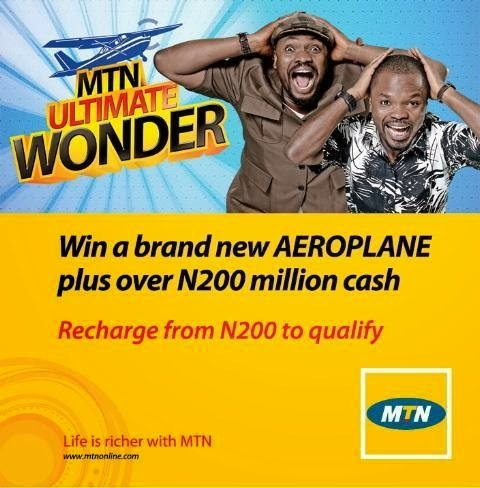 » Call Any Network In Nigeria With The Same Tarrif Calling MTN Number On MTN.